Turn 10 Studios has added a new Rivals event to Forza Motorsport 7 in anticipation of the return of the Forza Racing Championship later this month. The event features the same assists that will be used in the 2018 season of the esports series, which means competitors will have to become accustomed to racing with nearly all the assists disabled, including the Suggested Line, ABS, STM, TCS, and the Friction Assist. As for gear shifting, Manual with Clutch is enforced. 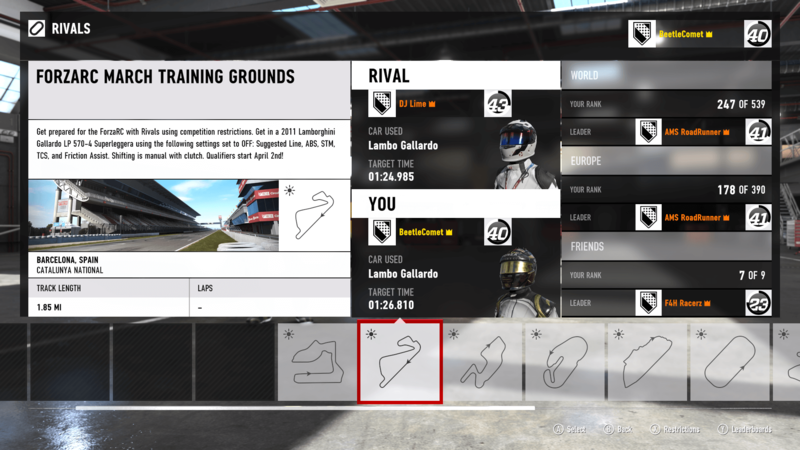 This makes the ‘ForzaRC March Training Grounds’ the toughest Rivals event to be added yet into Forza Motorsport 7 in terms of assist restrictions. 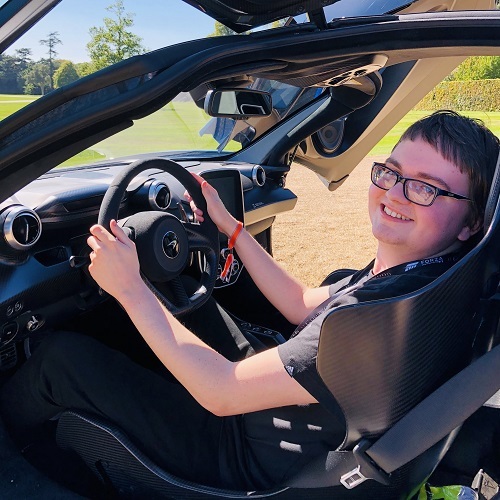 It also makes this upcoming season the most demanding of the Forza Racing Championship to date, so drivers will need all the practise they can get. That’s where this new ForzaRC-inspired Rivals event comes into play. Racers will be competing to set the best times in a 2011 Lamborghini Gallardo on the Catalunya National circuit in Barcelona, Spain. Each lap you do clocks in at 1.85 miles and takes over a minute to complete. 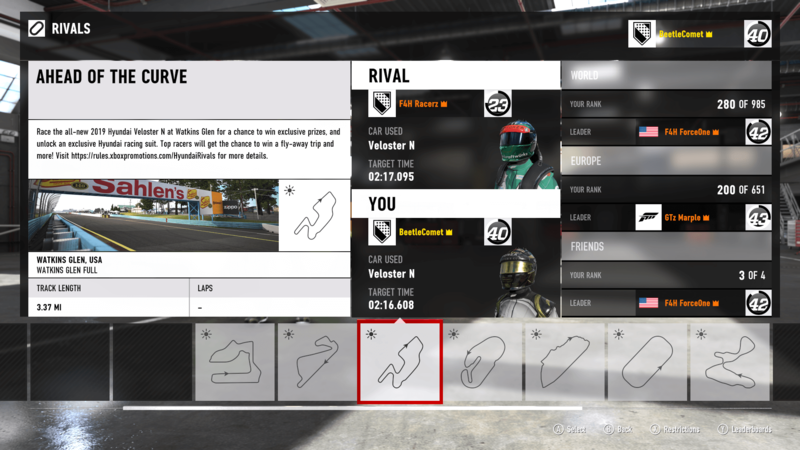 If you’re looking for some tips and advice on tackling this specific Rivals event, don’t miss the above video from F4H Racerz. He breaks down the track, including where you need to brake and the best racing lines you should take so you can master every little bit of it. There’s always something new you can learn when racing, and this video is sure to have some advice you didn’t know beforehand, so check it out and then head to Catalunya for some practise. The Forza Racing Championship returns with a Pre-Season Invitational event on March 24th in Seattle, Washington. Featuring 20 drivers battling it out at the home of Turn 10 Studios, the event paves the way for the 2018 ForzaRC season in which drivers will compete for $250,000 in prizes. Qualifying for this year’s season commences on April 2nd, and as part of two different seven-week series, drivers will compete in ranked events to earn points and climb the leaderboard. It all culminates at a World Championship final in London, England this October. Sign up today over on the official website of the Forza Racing Championship. Another Rivals event has also been added to Forza Motorsport 7, and this one is all about Hyundai. 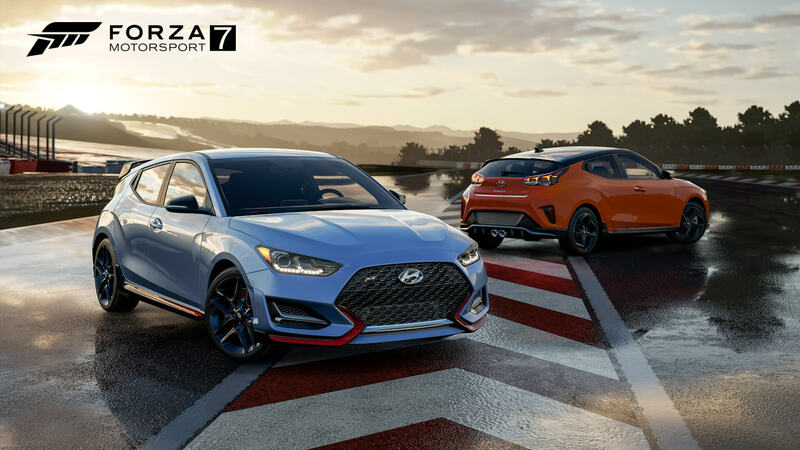 You may remember the manufacturer’s latest cars revealed at the Detroit Auto Show in the United States were added to Forza Motorsport 7 in a free Car Pack in January, and now fans will be racing the all-new 2019 Hyundai Veloster Turbo N completely stock at Watkins Glen for a chance to win “exclusive prizes” as those who set the best times will have a chance to win a fly-away trip and more. In addition, those who simply participate in the event will be rewarded with an exclusive Hyundai Driver Gear suit in the game. Whilst the Rivals event is open to players worldwide and anybody can earn the free racing suit, the actual competition prizes themselves are restricted to folks in the United States. Sorry rest of the world, you’re out of luck for this one! The track you’ll be competing on is the full Watkins Glen circuit, which comes in at 3.37 miles in length. Laps will take over 2 minutes to complete. The ‘Ahead of the Curve’ Rivals event can be found under the Rivals menu in Forza Motorsport 7, but to compete in the competition for a chance to win prizes, you’ll need to opt-in and register within the Hyundai experience in the Community Calendar App on the Xbox One dashboard. Players have until the end of the month – March 31st – to compete in the event and register their fastest time. Potential winners will be contacted via the information linked to their Xbox Live Gamertag. The sweepstakes tied to this competition will randomly choose players who register and compete in the event, and prizes include five ‘Forza Motorsport Wheel Bundles for Xbox One,’ 200 Xbox Game Pass subscriptions in the form of 12-month codes, and 100 $60 Xbox Gift Cards. The contest prizes, which are all about skill and setting the best times, will see one winner and a guest fly to the Pirelli World Challenge in Watkins Glen, New York for five nights with $2,200 awarded in the form of a cheque. 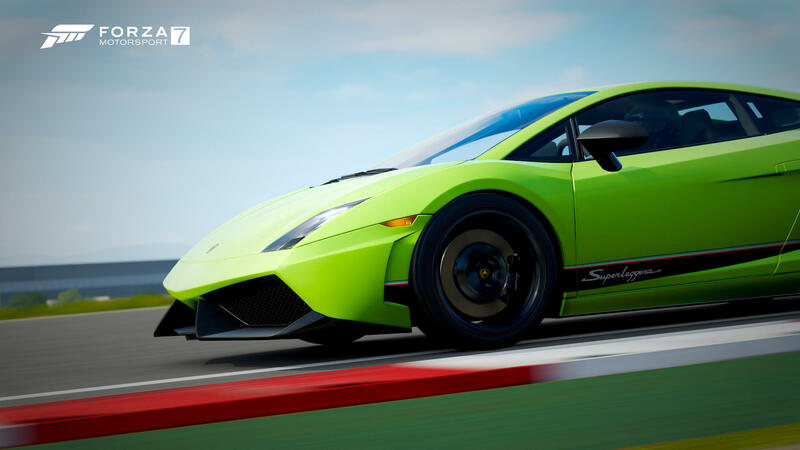 Four additional ‘Forza Motorsport Wheel Bundles for Xbox One’ will also be rewarded to runners-ups, as well as 100 Xbox Game Pass subscriptions in the form of 12-month codes. 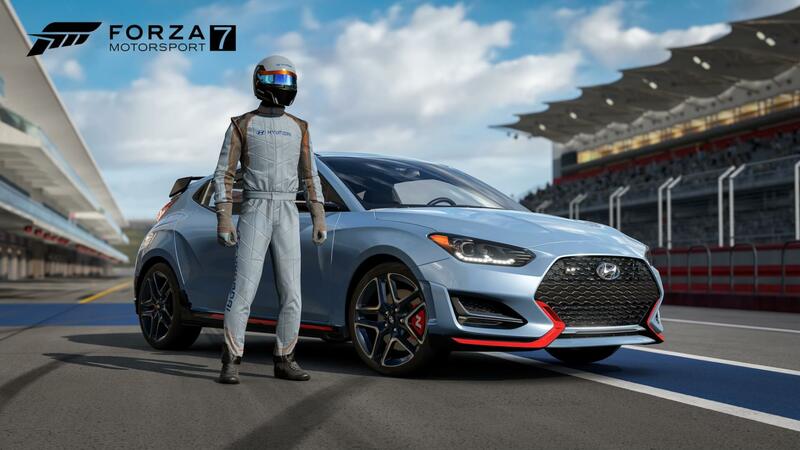 Overall, there’s a lot of prizes to be had from the Hyundai Rivals event in Forza Motorsport 7, and anyone who participates – regardless of where you live – will be sent a free Hyundai Driver Gear suit, so be sure to hit the track and set your best time! For the full rules and terms and conditions, hit up the official contest website. The first ‘Community Choice Rivals’ event kicked-off in Forza Motorsport 7 this week. These events are voted for by fans in weekly polls shared on the official Forza Motorsport Twitter account. This week, Turn 10 asked voters which car they’d like to hot-lap around Suzuka, and the runaway winner turned out to be the 1991 Nissan R91CP. 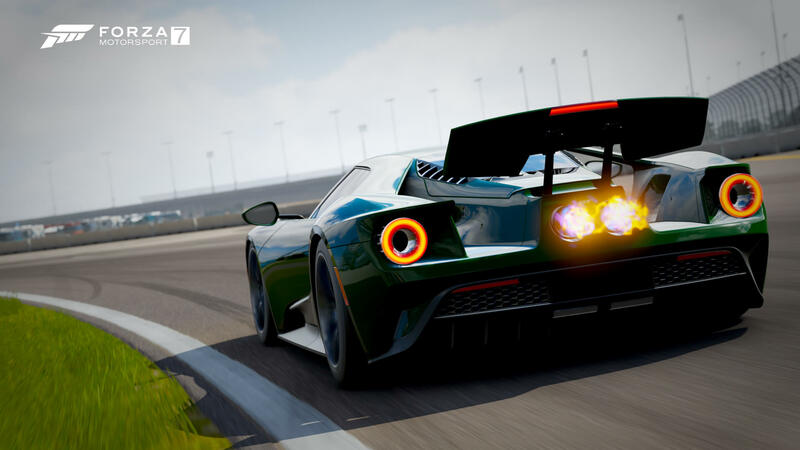 You can find this event under the Featured Channel menu within the Rivals mode in Forza Motorsport 7 – where you can find all the Rivals events mentioned in this article. 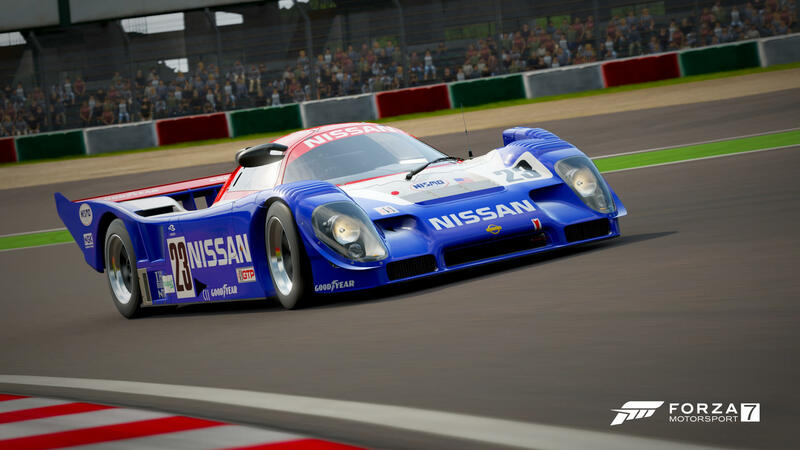 The first event of the March Community Choice Rivals sees players hotlapping the full 3.61 miles of the Suzuka Circuit in Japan in the 1991 Nissan R91CP, and each lap takes over a minute and a half to complete. Turn 10 will share a new poll on the official Forza Motorsport Twitter account on Monday, with a new event to be added each week in the month of March. To conclude this in-depth look at the new Rivals events available this week in Forza Motorsport 7, the current February Bounty Hunter Rivals events featuring Turn 10 Studio Head Alan Hartman will officially close on Wednesday, March 7th. Alan will set his final times this weekend, which gives players a couple of extra days to beat his times before the events close. As noted in the latest Forza Motorsport Week in Review, Alan has set respectable times on both events as of writing – a 1:48.587 in the 2017 Ford GT at Daytona and a 4:03.536 in the 1966 Ford GTLM at Le Mans Classic. Participating in both events will earn you the 2016 Porsche GT3 RS and the 1958 MG MGA, whilst the 1993 Ford SVT Cobra R Forza Edition and Jaguar XJ220 Forza Edition are available for beating his times at Daytona and Le Mans, respectively. Finally, there’s been another VIP-exclusive Rivals event added to Forza Motorsport 7 this week in the form of ‘Prototype Bliss.’ Drivers will be putting in the hot laps around the full Road America circuit – 4.05 miles in length – in the classic 1969 Lola T70 race car. It takes over two minutes to complete a lap on this one, so put in the practise and work your way towards the top of the global leaderboard.